I Just Can’t Take Any More Drivel from Pet Connection! The “Pet Connection” website and blog is a place I generally avoid. The insipid entries and subsequent haughty comments from faithful groupies are a proven risk factor for high blood pressure. But, as happens from time to time, a particularly vapid PetConnection blog post forwarded its way through the Pet Law lists. sponsor anti-animal ownership laws in almost every state, with an admitted incremental strategy to squelch intentional animal breeding. More “insane” than “humane”, the HSUS is the epitome of hypocrisy. I really hate hypocrites. But mostly, I hate those who spew out animal-rights generated, venom-filled epithets such as “puppy mill”….”hoarder”….”backyard breeder”….”irresponsible breeder” and all the rest of the narrow-minded, bombastic rhetoric. Using logic (a trait sorely lacking in moonbat blogs) there is no legal definition anywhere of PUPPY MILL…. so how can one postulate a valid claim to hate an undefined concept? What exactly do they hate? People who breed more than one litter per year? Breeders who don’t CRY when they sell a puppy? Breeders who produce dogs that are meant to guard, hunt, herd, retrieve, protect or otherwise work? The reason given for this odd hatred of a large subset of breeders? Ms. Keith recounts a story of visiting a friend and her Italian Greyhound:..."....she put a little puppy mill rescued breeding dog in my lap, who had lived her whole life in a mill, and I looked into that dog’s eyes, and there was nothing there. She was dead inside." Ah, so she can read a dog's thoughts and glean its life history simply by gazing into its eyes. Doggie ESP? Quite impressive! Dogs do have the same thoughts and dreams as people....they are just furry people, right? them act like other people either don't exist (they'll look right through you like you're not there) or don't want the icky not-my-mommy touching them. It's just how a lot of very people-oriented dogs ARE -- they have absolutely NO interest in anyone but their OWN person, and it doesn't matter if they were raised as pets, show dogs, or kennel dogs." and it's just not so. In fact it's contrary to the very behaviour we've bred for in many working breeds. Do you want your protection dog sucking up to every passing stranger? Do you want your hunting dog bringing the game back to whoever is handy, instead of to you? Do you want your herding dog making friends with the cattle rustler? Do you want your cart dog leaving with whoever walks by? Of course not. And as for the personal pet breeds -- do you want your loving pet to love any random person more than you?" "So there's been a good deal of selection, in many real working breeds and to some degree in personal pet dogs, towards INDIFFERENCE to nonthreatening strangers. These idiots don't know or understand that." "But they DO feel snubbed when every dog doesn't instantly love them, and of course it can't be the dog's nature so it HAS to be the fault of some prior neglect." "In short, emotionally-needy people are deciding how our dogs should behave -- to fill THEIR need to be loved by everything that breathes." Hmmm…so even if the dogs have acres to run in, on this "farm", and volumes of humans to interact with, "no amount good care, no amount of personal attention", no amount of VETERINARIANS, even one for each puppy, could ever make puppy production acceptable to her. 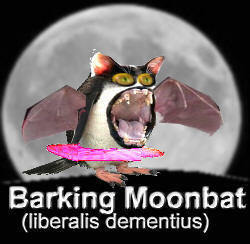 Quite the barking moonbat! Pet Connection bloggers presumably would like to impose their definition of “responsible breeder” on all of society….dictating that only a very narrowly-defined subset of emotional cripples be allowed to breed dogs. You must cry when you sell puppies, you must only breed a litter once in a blue moon. You must never make a profit….God forbid you should accidentally breed a litter of mutts! You must never produce a dog destined for anything other than life as a slobbering, fawning ego prop for its master. No guard dogs, no herders, no sledders, no protectors, no hunting companions who sleep in the barn….NOPE! With journalists promoting their notion in the popular press of how “responsible breeder” must or should operate, the end result can only be a downward spiral in all breeding activity…an exacerbation of the existing deficit of adoptable dogs. The steep expenses involved in producing puppies from these holier-than-thou “responsible breeders” means that the costs of extensive health testing and dog exhibition must be passed on to the consumer…thereby pricing these puppies waaay out of the reach of the average citizen. Fewer adoptable dogs available combined with steeper prices means a bigger piece of the pie will go to underground black markets and the strays imported from foreign countries. Let's examine the reasons WHY people are having a bit of a time finding breeders. If HSUS and the rest of the rabid moonbats had their way, no one would own more than a handful of dogs under any circumstances. HSUS sponsors legislation imposing limit laws, mandatory sterilization laws, insane license fees and a host of other excessive rules and regulations. These bureaucratic roadblocks are causing dog breeders to abandon the hobby in droves…. Of course, that is exactly the intended effect of these HSUS campaigns; to come down hard on breeders….all breeders. Force most out!! And now Keith and Shain sit back, scratch their heads and wonder where are all the breeders? Helloooo!! 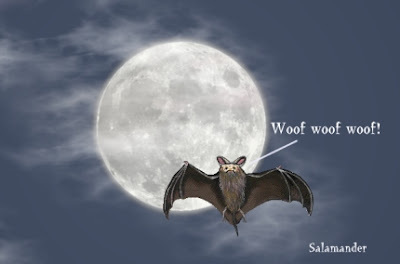 Earth to moonbats! Look no further than yourselves for that smoking gun. “Stop hiding in the shadows and letting your enemies define what dog breeders and fanciers are” spouts Keith. Yet HSUS lobbyists try to forge this definition on a daily basis. At least she correctly tagged them as ENEMIES. For the few remaining active breeders, hiding in the shadows has become the only method to survive unscathed to breed another litter. “Because their interests are not your interests” Keith lectures, referring to big brokers and retailers. Sorry, but all of us in the dog world DO have the same interest…..we all enjoy dogs, breeding dogs, caring for dogs,….and for some, that means actually selling dogs in the process, perhaps making a living from doing so. Perhaps actually profiting enough to be able to stay at home with their beloved dogs full time! If you browse the comments following that blog post, many remind the readers of the myriad other concerns regarding HSUS anti-animal activities. Lest we forget, HSUS is flat-out opposed to hunting….opposed to fishing….opposed to meat-eating and farming in general….opposed to horse racing and dog racing….. lefty bloggers expect us to overlook all the frightening fanatic HSUS campaigns, and actually embrace the group, based on a single-minded abhorrence of the undefined concept “puppy mill”. However, as HSUS supporters look on in horror, the warts on the face of their organization are revealed on a daily basis on the http://humanewatch.org/ website. They now must resort to the desperate ploy of the “divide and conquer” game…a game that has traditionally worked well for them. But no more. Thankfully, hobby breeders are less naïve nowadays, and less likely to fall for this sly maneuver. Someone on the extreme edge of whatever their -ism happens to be. Vaccines....Too much of a good thing? Vaccines! To give, or not to give? Yearly, Every three years? My vet sends me a reminder card every year, so I need to "booster" yearly, right? Regarding the core canine vaccines for parvovirus, distemper and adenovirus; ONE effective vaccine dose should confer a lifetime immunity. The stumbling block remains the attainment of an "EFFECTIVE" vaccine dose. A vaccine may NOT be effective if the dog is ill, stressed, or already incubating the disease. A puppy may still have maternal antibodies lingering in his circulation that can block the effectiveness of a vaccine. The reason that vaccines are given as a series to puppies is because one can't know at precisely what age antibodies received passively from the mother have disappeared. By age 4-6 months the maternal antibody interference should have worn off. Just like with people, once you have had measles, mumps, german measles, chicken pox, smallpox....either the disease of the vaccine....you are immune. No need to "booster". The core vaccines for dogs protect against diseases that happen to be caused by viruses. Bacterial diseases, however, are another story. There is no such thing as lifetime immunity to bacteria. So if your dog is at risk for lyme disease, leptospirosis or bordetella, he may need repeated "booster" vaccinations...but only for those particular bacterial diseases. And ONLY if he is at risk. For instance, if your dog frequents wooded areas, he may be at risk of lyme disease or leptospirosis. If your dog is around many other dogs, such as a kennel or a dog show situation, he may benefit from the bordetella vaccine for kennel cough. Vets figure that it doesn't hurt the dog to get a yearly vaccine and it gets you into the office....that's why they send out those reminder cards. Adverse reactions to vaccines can sometimes occur, so it makes little sense to vaccinate unless it is truly necessary. The AAHA recommends no more often than three years for the core vaccines....and that is only because there are no long-term official studies on duration of immunity. This is where the rabies challenge fund will help all of us, because rabies is a vaccine with a high rate of adverse reactions. Some areas require rabies re-vaccination as often as every year. Print this out and take it to your vet if he/she is pushing for yearly vaccination. These are the most recent official veterinary guidelines. An interesting recent genetic discovery is that the "K" locus not only codes for dominant black coat color, it is also gene that is a "beta defensin"....a protein that plays an important role in the immune system. Is strong black pigment an important indicator of a healthy immune system? Small white dogs are noted to be at higher risk of adverse vaccine reactions, so perhaps lack of eumelanin (black) can be one indicator of a compromised immune response. Black dogs may well have a definite health advantage that can be discerned by their appearance! When two dogs who are very genetically similar are mated, the offspring can receive the same set of genes from each parent in the Major Histocompatibility Complex or "MHC". The more diverse the genes in the MHC, the stronger the immune system. Dogs that are known to have many matching chromosomes, such as purebreds with recessive traits doubled up and expressed, are often noted to have impaired immunity. This has long been evident in such breeds as Weimeraner (double recessive dilute) and Rottweilers and Dobermans (recessive tan point pattern). These dogs are likely not only homozygous for their coat color but for their immune system genes as well. This condition of being homozygous in the MHC in essense cuts the effectiveness of the immune system in half! Hopefully more research in the area of immune system function will encourage breeders to produce dogs with a bit more diversity and an improved immune response. This is my fervent hope for the future of dogs! A few months ago I attended a meeting in a local community to discuss issues of gang-related crime and attendant problems of graffiti and loitering. As the POP officer (Problem Oriented Policing, designed to be community-friendly and proactively address community concerns) went through his power point presentation, a few red flags went off for me. At one point the officer, who in fact is a smart fellow whom I respect, mentioned some of the actions and procedures being taken to address gang activity in the community. As a 30 year member of the ACLU (American Civil Liberties Union) I thought, “Whoa, what is wrong with this picture?” I asked the officer if it was in fact a violation of certain constitutional rights to take the actions he described to create an uncomfortable environment for the gangs in our community. The response was, yes, but the folks they are dealing with generally do not know this, and are easily intimidated. Subsequent comments clearly revealed that both the police and the public totally supported violation of the rights of “the bad guys”. The officer went on to comment that this tactic did not work with the outlaw biker gangs. Now these are the real bad folks into heavy-duty stuff like illegal weapon sales, but the officer said they cannot do much about them because they are “older, better organized, and know their rights”. He went on to say that the biker gang members generally have audio and video taping devices always available, and access to contact with a lawyer, and unless they have them dead to rights there is no point in confronting them. This should give us all pause. Laws are being increasingly made which allow government and law enforcement to invade the private affairs of citizens over trivial issues. Further, the perceptions that such laws are necessary often are based on distorted or erroneous data and cognitive biases created by “truisms” or media coverage. It is almost as if such laws are a way to deflect the public focus away from major problems and highlight minor problems which are more easily controlled, or to target a responsive and responsible population more likely to be intimidated or obey the law, while a more dangerous population continues unabated. As Cicero (42BC) observed, “When people are willing to give up rights for security, they will, in the end, lose both.” In a society where the media bombards us with horrible stories of gang violence and portrays a society out of control, it is very easy for government to get concessions from frightened citizens which violate the rights of every citizen under the premise that it is only the bad guys who will be impacted. More and more laws are being enacted which erode the rights of US citizens. In spite of the rights afforded by the constitution, we are increasingly seeing the violation of these rights in the name getting the bad guys or for reasons of the greater good. While the events post 9-11 and the creation of the Department of Homeland Security and the Patriot Act are the most obvious and glaring examples of the exchange of freedom for perceived security or the greater good, there are numerous additional examples at all levels of government. Moral panic is a feeling of fear or impending threat shared by part of the population with regard to another group in the population which is seen to threaten the social order or personal or public safety. Stanley Cohen is credited with coining the term, moral panic, and discussed the phenomenon in his book, Folk Devils and Moral Panics (1972). 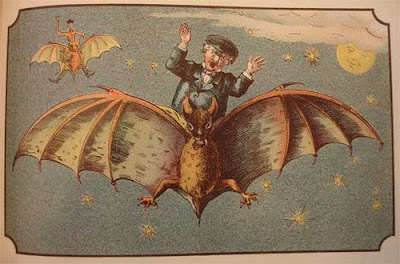 Those who come to be defined as the source of the problem in a moral panic are labeled by Cohen “folk devils”, while those who plant the seeds of the panic and nurture the resulting crop of fear, hatred, and resulting prohibitive legislation are defined as “moral entrepreneurs”. Often these moral entrepreneurs are media savvy and well-funded and not above taking advantage of existing media events. The media has always served the needs of such moral entrepreneurs, even if the media are not intentionally crusading against folk devils. Simply choosing to factually report some news over other news can be sufficient to further a moral panic. The mass media clearly has the power to focus public awareness, maintain public awareness, and shape public opinion. “Pet-overpopulation” has been raised to the status of a moral panic. Currently, the over-blown concern with pet-overpopulation (when in fact the birthrate for dogs has been below the replacement rate since 2005 and the only dogs out-producing demand are the pit bull and pit bull crosses which stock most shelters), has resulted in the pressure to enact draconian, ineffective, costly and invasive legislation which imposes excessive control over owned pets and severely limits the ability of any owner to maintain an intact pet, whether or not intended for breeding. Special interest groups such as animal rights activists are accomplished at timing media coverage of raids on large-scale dog breeding facilities, animal agriculture businesses etc. to correspond to pending legislation designed to outlaw practices or enact stricter government controls. Currently, HSUS, the Humane Society of the United States, an animal protection/animal rights organization which is currently supporting increasing controls on dog breeders is highlighting raids on breeding facilities and using its considerable resources to assure media coverage and influence public opinion. Such tactics are typical of organizations with an agenda or ideology and the resources to afford marketing, advertising, and pubic relations to influence public opinion. Since the special agendas of these organizations lack popular support, these entities rely more on media hype for the need for legislation, limits on personal freedoms, and other sanctions to push their personal agenda. Animal Rights Activists have created a perception of crisis and threat and the public perception that the “folk devils”, all breeders or owners with intact animals, must be acted upon. According to Cohen, this creates a perception of a "deviant" act. While the act may not be criminal, pressure is exerted to have it condemned. Newsworthy information on the issue is reported, but obscure examples which ordinarily would not be noted are now highlighted. What may be statistically low incidences of the behavior are now presented as “the tip of the iceberg”. Naturally it is impossible to prove that such is indeed the case. Real data indicating the fact that the behavior is very uncommon or usually benign is ignored. Thus the problem emerges as significant and the resultant outcomes as common. The public are sensitized and kept informed of all incidents of the events. Next public concern about the issue typically forces legislators, the police and the whole law enforcement system to focus on the specific deviancy—with a much greater degree of concern than it warrants. Municipalities should enact laws, and pressure is put on them to enact harsh penalties to deal with the threat. Ironically this action only serves to confirm that the contrived threat was in fact legitimate. Moral panics take on a life of their own when the members of a society come to believe that threats and menaces exist and that “others” will act in ways they consider unacceptable, reject their values, and cause untold harm. Those that would do this are defined as the target for action and legislation and must be stopped. We are the targets of such moral panic over pet overpopulation and the so-called deviance of owning an intact pet. Those of us who are dedicated breeders need to stand up for our rights and shatter the myth of over population and the perception that breeders are low-life deviants responsible for pet slaughter, government expenditures, and attacks by dogs on children. We need to fight the propaganda and negative stereotyping of the ARs at every opportunity. AKC (the American Kennel Club) and all the breed clubs need to take a more active political role or there will be no sport of purebred dogs. Now is the time to go to the mattresses! Although we are not outlaws (at least not yet, although that may soon change if we don’t take action now), we need to take a page from the playbook of the outlaw biker. It is the uninformed, the apologetic, and the easily intimidated who are the victims of “go for the show” raids or crackdowns. Those who know their rights, and are proactive in protecting their rights and interests will be the least likely targets for AR controlled ACs and humane societies. We have all seen the raids on the “unlicensed” puppy mills where the dogs are “confiscated” by the humane society. These facilities are targeted as an easy score and timed for a great media hit before something comes up for a vote in the municipality or state. The places are usually run by an elderly couple who are easily intimidated when told they can either surrender the dogs or face hundreds of thousands of dollars in litigation and possible arrest and criminal prosecution. The kennel conditions may not be bad at all, but what senior citizen with a hand-to-mouth existence could face the stress and expense to fight a well-funded organization with a good-guy reputation? The statement that the kennel is “unlicensed” generally makes the public think it is illegal, when in fact it may not be required by law to be licensed. Each of us has to know our rights and stand up front and center to protect them. Print out “What to do if Animal Control Comes Knocking” http://www.ckcscsc.org/animal-control.htm , post it on your fridge and if you have children, or occasional workers on your property inform them that they are not to talk to anyone who may wish to question them. Have an audio or video camera on the ready and record any interaction. Have the name of an attorney available. Know the name of your board or council member who represents your area as well as your state senator or representative and mention you have been in touch with them in the past. Register to vote and write letters at every level when animal related legislation is pending. Let your elected officials know that you and many other dog people were apolitical in the past but are now “one issue” voters and that issue is your dogs. The days of being able to assume that because you have done nothing wrong, and your kennel is in order, you have nothing to fear are long over. Flying under the radar is no longer a viable strategy unless you want your dogs to live like Anne Frank, sequestered in your house so as not to come under the long arm of draconian animal control laws. While you are in no way an outlaw biker, or a deviant of any kind, it is unfortunately time to take a page from the playbook of the outlaw biker and be proactive with a game plan in action should you be targeted by anyone because you are a breeder. Now you must know how to thwart those who would use propaganda and moral panic to intimidate normally law-abiding citizens such as you, who choose to responsibly breed and own intact dogs.